The bureaucracy of the country, led by the Central Bank, the Ministry of Finance, the Colombo Stock Exchange and many other important institutions need to re-look and re-design their policies and business plans to maximize economic benefits, particularly for the benefits of the poor farmers and businessmen around country rather than focusing heavily on creating opportunities for Chinese investors. 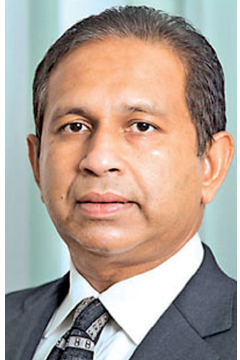 These views were expressed by Channa De Silva, Chairman of Sarvodaya Development Finance at the seventh edition of the Capital Market conference held in Colombo last week. Stressing the need to bring down interest rate aggressively, he said for that, all the big bureaucratic engines need to be very confident to bring the rates down dramatically to spur economic growth and capital market activities. Speaking on VAT regime and its implications on economy, he said many new businesses are unable to even calculate VAT properly and stressed the need to fundamentally dissect certain rules of VAT and to ascertain what rules are applicable in today’s context. “In rural areas, parents put their children to sleep early as they are not in a position afford dinner. Thousands of kids go to sleep without having dinner. Thousands of schoolchildren go to schools without having breakfast due to their inability to afford breakfast. Hundreds of schoolchildren collapse in classrooms because their stomachs are empty. We are living in an environment like this. I think it is essential to bring down interest rates dramatically to address some of the major economic concerns in the country.” he said. He said further that he is clueless as to why Sri Lankan sovereign interest rates are so high and also he queried as to why the government is borrowing at a high rate from local institutions. While speaking about his past experiences as the Director General of Securities and Exchange Commission of Sri Lanka, he said when the Stock Exchange goes for a road show; we accompany a team, comprising SEC officials, politicians and whoever we can find. “That’s absolutely a bad practice and I repented for doing it. SEC is the regulator, when we go for road shows; we showcase the potential of the corporate sector to the world. In my view, every attempt has to be made not to engage in those practices in the future.” he said.